Jack Ewing was born and educated in Colorado. In the 1970s he and his wife Diane moved to the jungles of Costa Rica where they raised their two children, Natalie and Chris. A newfound fascination with the rainforest was responsible for his transformation from cattle rancher into environmentalist and naturalist. 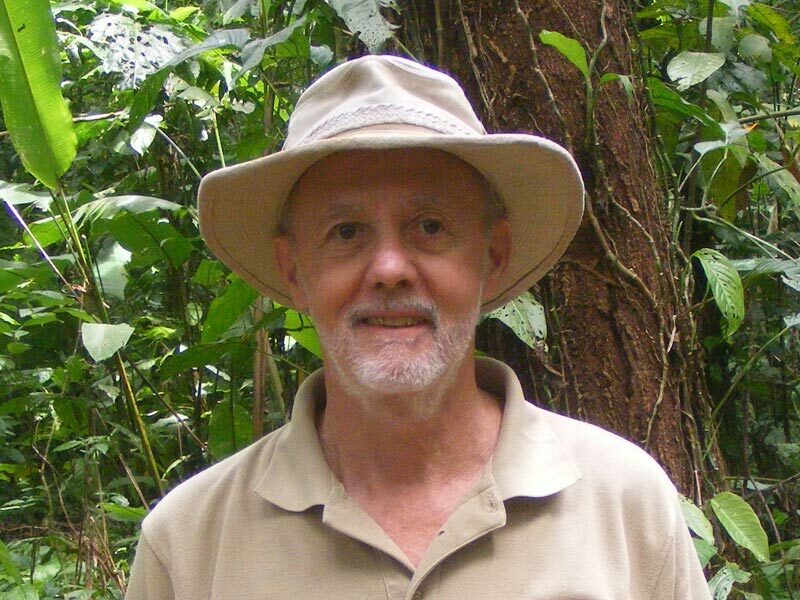 His many years of living in the rainforest have rendered a multitude of personal experiences, many of which are recounted in his published collection of essays, Monkeys Are Made of Chocolate. His second book, Where Tapirs and Jaguars Once Roamed, recounts the fascinating history of the region where Hacienda Barú is located. Jack and Diane live on the Hacienda Barú National Wildlife Refuge, a well-known ecotourism destination on the southwest coast of Costa Rica.